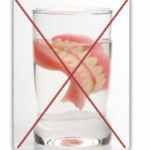 Swimming with Dentures – Have you ever thought about it carefully? Swimming in a lake or ocean is an entirely different matter. Lose your teeth and you are unlikely to ever find them. Do you keep spare sets with you just in case? At Chrysalis Dental Centres, we provide non-removable dental implant solutions. Swim freely and enjoy life. Call today for a free consultation 1 877-229-6002.